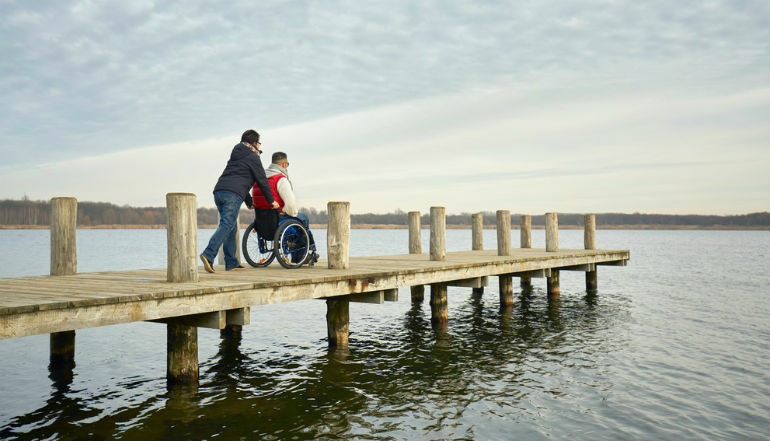 Given the National Disability Insurance Scheme has support across the political spectrum there is a reluctance to heavily criticise it despite a parliamentary inquiry which is revealing that the system is beset by major problems, writes WA Greens Senator Rachel Siewert. The establishment of the National Disability Insurance Scheme was a landmark achievement for Australia, a scheme to provide reasonable and necessary supports and services to people with disability enabling choice and control. The NDIS started with pilot areas (then renamed trial sites after a change of government) and is now in transition mode to full rollout. Because the scheme has support across the political spectrum, there has been a reluctance to heavily criticise it. Fundamentally, we all want it to work and don’t want to undermine it. Despite this, it is becoming obvious that we haven’t learned enough from the trial sites. Many problems beset the scheme, it is time they were talked about and sorted. The Joint Standing Committee on the National Disability Insurance Scheme has held two half day public hearings and heard evidence from participants, parents, carers and providers and they have raised a litany of issues. Alongside others, I have found the hearings quite distressing and wonder how it got to this point. There are issues around hearing, psycho/social disabilities, early childhood intervention, planning, pricing, housing, plan reviews, the portal and funding, the list goes on. I should say now that many people have expressed the difference the NDIS has made in their lives, that is not to say they have had a good journey to get there. Participant plans are being drawn up over the phone by new staff who aren’t adequately qualified or knowledgeable on the disability they are addressing, people aren’t getting the items they asked for or are getting items they didn’t ask for included in their plan. Plans are inflexible and a change can be a nightmare. Reviews are being held frequently, sometimes with large cuts. Some people aren’t allowed to see the draft of their plan and others haven’t seen their final plan, others have had significant cuts to their plans after a review. Some plans have been reviewed and cut with the participant and providers not informed. Plans are not flexible enough. Providers are being told they must bear the cost if they continue to provide a service that has been cut, and they haven’t been informed, nor has the participant. People talk of having to wait excessive time on the phone trying to get through to the NDIA, and that they can’t get the same person twice. Some people are waiting a long time to get an assessment and a plan; this is particularly a problem for children with early intervention needs. There is a vast difference between plans and funding for people in similar situations. The process uses unfamiliar language, which affects accessibility, this is ironic seeing as the NDIS is supposed to be all about accessibility. There are massive gaps emerging, such as who funds the co-ordination, the people that help those whose situations are so complex that they and their families need support and services just to navigate the system. There isn’t enough outreach to bring people into the scheme. The portal is a nightmare and has been roundly condemned; providers are owed thousands, with one telling the hearing they are owed $140,000. Despite claims by the NDIA that the portal is working for claims, providers told us that they can’t use it and have to use an 1800 number to contact the agency. There are concerns about supports and funding for carers, loss of respite, rural and regional rollout, pricing and the provision of quality services. There are question marks around what is considered reasonable and necessary for an ordinary life – one person was told they couldn’t have a certain prostheses because it wasn’t considered necessary for an ordinary life despite him continually falling over without it. We want the NDIS and we want it to work – we urgently need to address these issues before it is too late. The government will claim that this is why we need more money. Yes more money is needed, but it seems to me this is more than about just money. 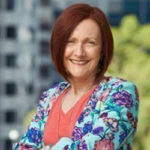 About the author: WA Greens Senator Rachel Siewert is a member of the Parliamentary Joint Standing Committee on the National Disability Insurance Scheme. Senator Rachel Siewert is the Greens spokesperson on Ageing and Disability Services.